The Uminonakamichi Seaside Park in Fukuoka is holding its ‘Uminonakamichi Flower Picnic 2018’ event starting from March 24th to May 6th this Spring. As part of the program, this coming weekend April 14th and 15th marks its ‘Uminaka Picnic Day’ and Monocircus will be a part of this event! 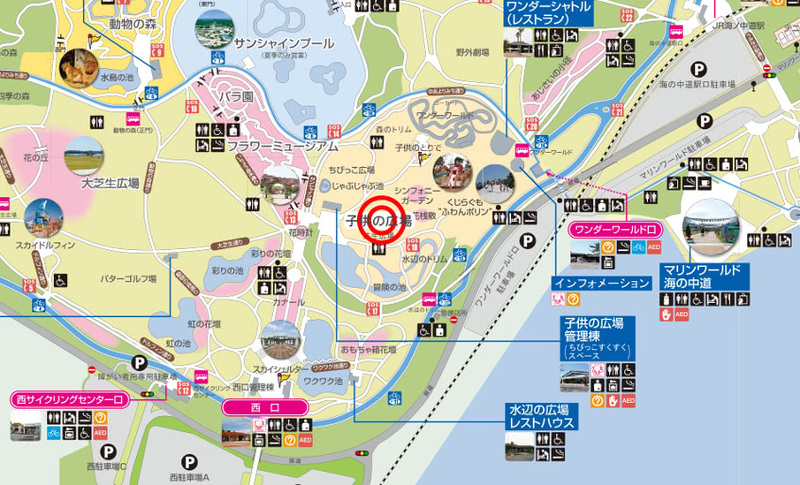 The red dot marked on the map, near the Children’s play area will be the site of the Picnic Day. There will be stores selling accessories and handmade knick knacks as well as tents and hammocks set up around the area for visitors to rest and have picnics! There will also be violin, saxophone and ukulele performances, story telling sessions, coffee and snacks as well as workshops that can be enjoyed by the whole family! We will be bringing along our children and letting them enjoy the event while we tend to our booth in our tent. We hope you will drop by and have fun!